2.Why NPA is so important? 3.Can you trust our rating? NPA stands for 'Non Peroxide Activity'. We use this because it is the terminology that is actually used on the lab certificates of analysis obtained to rate each jar of honey. NPA isn’t a registered trademark which means Green Bay does not pay marketing royalties for the use of industry trade marks (which is an extra cost passed on to the consumer). 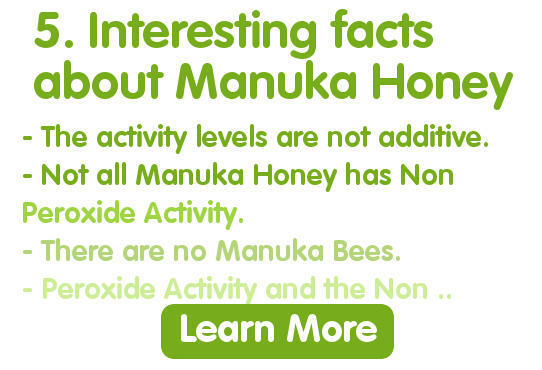 Genuine Manuka Honey is tested and rated for its antibacterial potency. 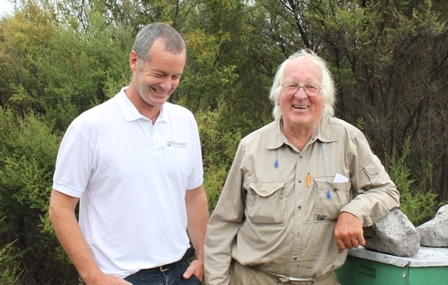 Green Bay Harvest obtains a lab certificate for all its Manuka Honey. The lab certificate actually uses the scientific and generic (i.e. non-commercialised) terms ‘Peroxide Activity’ and ‘Non Peroxide Activity’ which is why Green Bay Harvest uses the exact same terminology. Green Bay uses only the NPA score to rate its honey. The UMF® rating and all the other trademarked terms use the same (NPA) Non Peroxide Activity score of the honey from the lab certificate. The higher the UMF® (i.e. the NPA rating - (click here to learn about UMF)), the higher the antibacterial activity although there is an upper limit - typically about 15+ to the naturally occurring activity level of the honey when it is harvested fresh from the hive. 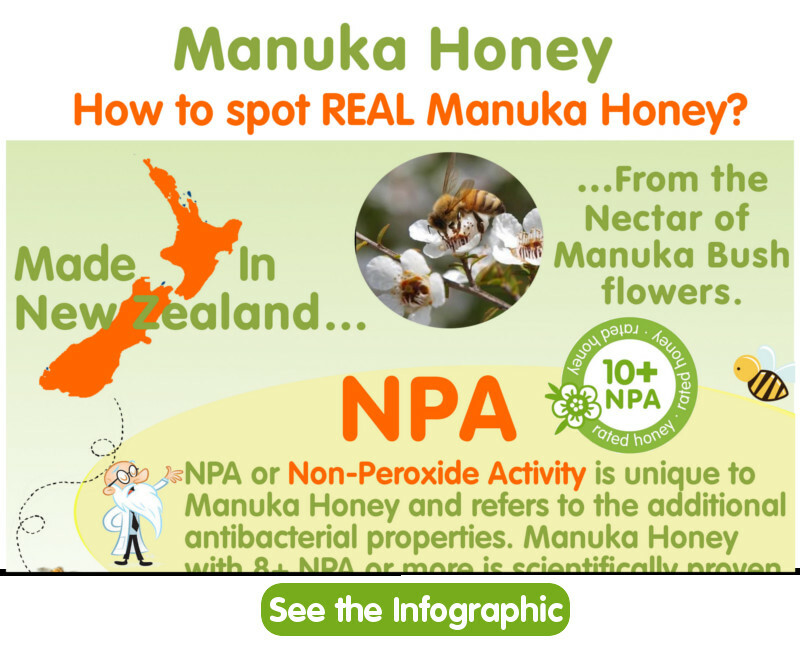 Research about the therapeutic benefits of Manuka Honey is based on the presence of NPA (Non Peroxide Activity) i.e. compounds in the honey that are bio-active and are attributable to the unique floral source of the honey - the Manuka bush (Leptospermum scoparium) which is unique to New Zealand and commonly known as the Tea Tree. 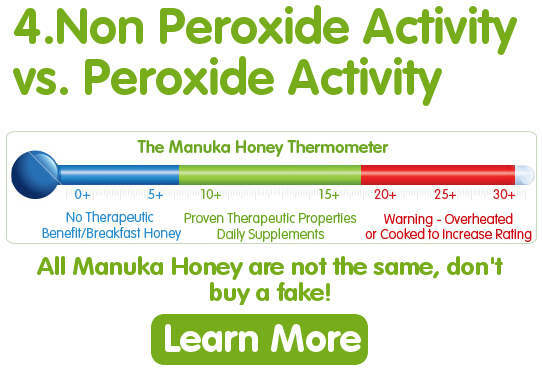 The rating and the lab tests that support it specifically exclude the Peroxide Activity, as to a greater or lesser degree all honeys naturally contain Peroxide Activity. We are family business, and as owners we work directly in the business. We keep bees ourselves. We have an office and warehouse in Christchurch, New Zealand where all our buying is centralised with a long standing network of beekeepers who we know personally and trust. All our Manuka Honey can be traced back to a lab certificate which has been issued by an ISO 9001 certified laboratory.